Parrelli Optical’s staff includes state-licensed opticians as well as some of the most qualified optometrists in Middleton, MA. Parrelli Optical has four convenient locations in Beverly, Cambridge, North Andover and Somerville, MA. Whether you need to buy new frames or lenses, update your prescription or undergo an eye examination, you will be thrilled with the outstanding service offered by Parrelli Optical. Once the tests are complete, we will discuss the state of your ocular health and inform you of any issues or necessary treatments. In addition to screening for undetected eye issues, eye examinations can be used to identify issues that are already apparent. 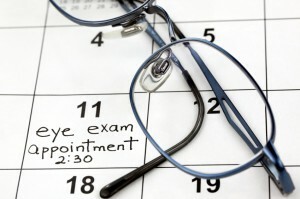 If you suspect that you may be developing or suffering from an eye disease, schedule an eye exam with one of Parrelli’s experienced optometrists in Middleton, MA. There are many stylish frames to choose from at Parrelli Optical. Products include the latest collections from top brands such as Volte Face, Vincent Kaes and Renoma. You can also work with a trained professional to determine the ideal contact lenses for your eyes. Schedule a visit by phone or on the Web to meet with one of Parrelli’s certified fitters or skilled optometrists in and around Middleton, MA.